During the 16th century Gràcia grew up to be a settlement. Until the incorporation in 1898 Gracia was an independent village, connected with Barcelona by the Passeig de Gracia. 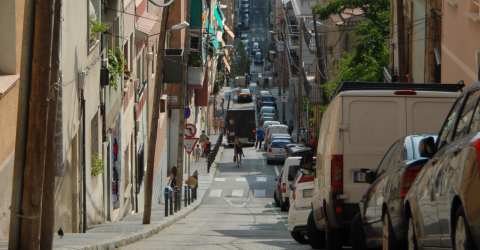 The free space between Gràcia and Barcelona was filled with the extension of the district L'Eixample. Hardly north of the Avingua Diagonal, you will recognize the change in another part of town with a completely different evolutionary history already by the change of road picture. L'Eixample still has generous roads and intersections, Gràcias however has small and narrow streets, that are totally chaotic arranged. Characteristic features of the artists and students quarter Gràcias are the narrow alleys and many small, relatively welcoming places. The often outdated houses provide relatively cheap rents. 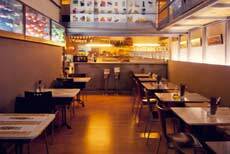 In Gràcia, everything is a little more comfortable and smaller than in the rest of the city. 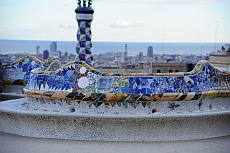 In the north of Gràcia Barcelona's most beautiful park is located, the Parc Güell. Gràcia is famous mainly because of its traditional town festival Fiesta Major. This takes place on the two weekends after 15 August. This park is a work of art. Created by Antoni Gaudí and certainly the most beautiful park in Barcelona. 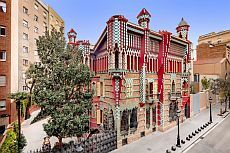 Casa Vicens is the first building created by the young architect Antoni Gaudí: until now the building was a relatively unknown work by the Catalan architect. You will receive tickets for a self-guided tour of the building here. Characteristic features of the artists and students quarter Gràcia are many narrow alleys and many small, welcoming squares. The formerly independent village was incorporated only in 1889.